When compared to any marketing channel, organic SEO is going to be one of the most profitable channels because there is a relatively low initial investment and the costs can be amortized over a multiple year period. The basic ROI formula for customer acquisition channels is whatever the value of the customer is to the business minus the CAC (Customer Acquisition Cost). A standard value might be something like LTV (Lifetime Value) or AOV (Average Order Value). To understand this better let’s look at the standard ROI calculations for each marketing channel. 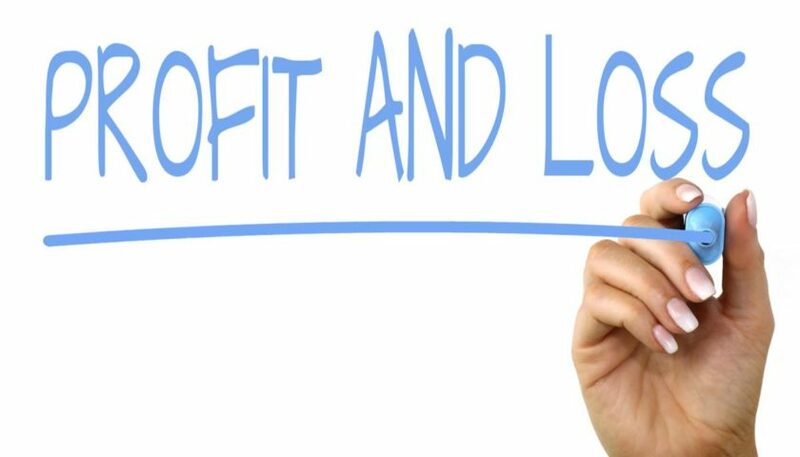 The profit calculation will always be the same, but the CAC formula will differ. If the average CPC (Cost per Click) is $0.20 and it takes 100 clicks to convert a single customer (1% conversion rate) then the CAC would be $0.20 * 100 which is $20. The profitability formula would never change for previously acquired customers, but it might look better for future customers if additional spend efficiencies were to be added and the CPC goes down or the conversion rate goes up. This calculation is far simpler when thinking only of paid marketing as search engine marketing, but there are only slight tweaks for other paid channels. Display campaigns are just like PPC campaigns, but the additional measurement criteria of “view through” (people that saw but didn’t click) means the time decay of the returns needs to be a little bit longer. Paid social is also just like search engine marketing where the CAC is based on the cost mechanism – click or conversion – but the networks (Facebook, Twitter, LinkedIn) want you to believe that there are additional “organic” conversions that will happen because of the paid campaign. In reality, these aren’t really organic as they would not have happened without the paid campaign. These conversions should just be included as campaign conversions even if they didn’t directly result from a paid click. This is a very hard channel to calculate the actual conversions that are generated from brand efforts, but in a vacuum this might be the “Direct” channel in an attribution report. The CAC for Brand will constantly changing as every additional conversion from a brand campaign will bring down the average cost for each conversion. This can continue happening long after the brand campaign ends too. To illustrate, a company spends $x to buy a billboard on the side of a highway for one month. The CAC will be the total of all acquisition generated by the billboard divided by the $x. Unlike paid marketing, $x remains a constant while the conversions can continue to grow. Provided that this was a successful campaign, the ROI will continue to improve long past the month that the billboard was visible, although it will not continue to perpetuity. A referral campaign can have two meanings in an attribution report. It can either be a link placed on another website or it can refer to efforts to get one customer to refer another. For the sake of argument, we are going to assume that there is no cost to links placed on other websites (for paid link campaigns the brand ROI calculation is a better fit) and just discuss a customer to customer referral campaign. In a successful referral campaign, the CAC of each new customer is really the CAC of the first customer divided by each referred customer plus the referral fee paid. So, if customer A was acquired for $100 in a paid campaign, but then referred 4 customers the CAC for all five customers would now be $20. If there’s a referral fee paid for each customer of $20 we would need to add that back into the CAC calculation. We could either add the 4 referral fees of $20 to the original $100 giving us a blended total of $180 to divide by 5 or we can do this a cleaner way. The CAC for the first customer would be $100 while the subsequent customers would have a CAC of $20. In this case, the ROI for the referral campaign would be fixed as the costs for each new customer will be the exact same. CAC for an SEO campaign will continue to decline as long as content produced for organic purposes continues to generate conversions. From my experience, this can go well past the five year mark, so ROI will improve on a near constant basis. Leaving aside technical overhead and salaries for SEO efforts since this overhead would have to exist even if there were no SEO efforts at all, the actual cost for the campaign is likely just the direct content costs which can be fairly low. As before the CAC will equal the number of conversions divided by the cost. In this case just like a brand campaign, the cost is fixed but the conversions are not. To put numbers behind this, if the content costs $500 to reproduce and in month 1 it generated 1 conversion, the CAC will be $500. In month 2 and 3 it might produce another 9 conversions, so now the CAC is only $50. If you carry this forward for 5 years with continued growth in the amount of traffic and conversions, you an see how the CAC will be on a constant descent with ROI on a constant ascent. Based on this breakout, if I was asked where the best place to spend marketing dollars might be, I will always recommend pouring it into organic efforts. Organic is a long slow build, but it’s building a foundation that will generate returns long into the future. Paid channels are always quick and easy, but as soon as the spigot of spend is turned off the acquisition efforts will stop. The best analogy I ever heard was that paid marketing is like renting a house while SEO is like paying for a mortgage. When you rent for years, you will have nothing to show for it; however, mortgage payments eventually lead to substantial equity in a home.